It’s just your bad day! VLC player is most widely used players and supports almost all sorts of video formats. Though MP4 is supported by VLC, there are times wherein your VLC player refuses to play your favourite video. This can be due to various reasons, may be you have an older VLC, videos settings are not enables and even your MP4 is corrupt! However, there are solutions to fix all such issues, just read ahead to know some easy methods to fix VLC not playing MP4 issue. In this process of fixing the issue the first thing you need to do is to check where the problem lies, is that your MP4 is corrupt or your VLC is the culprit. No Worries, it’s a no brainer task! First play your MP4 video on other media players and also, play other MP4 video on VLC player. To fix corrupt / unplayable MP4 video download and install Remo Repair MOV tool. One of the issue with MP4 video not playing on VLC is that your VLC is not compatible with the MP4 codec. Hence, to fix the issue, you just convert the MP4 video to VLC compatible format. You can download the VLC codec pack from the official VLC site and for converting there are various online MP4 convertors available. Choose the one that best suits your needs. Tools –> Preferences. Then in the lower left of the window, click on Show Settings and select ALL button. Once it is done, you can now close VLC and open it up again. Then, just try to play your MP4 video and check if this works. If this doesn’t help, then try the next option. At times, when your MP4 codec is not compatible with the VLC, you will not be able to play MP4 video. That means, you might be having the older version of the player, and hence needs up-gradation. So, just download the latest VLC codec packs or upgrade the VLC player to the latest version available. Tools -> Preferences -> Video section -> check the Enable Video box in case it is un-clicked. Then check the box for Window decorations, in case it is unchecked. Then select ‘X11 video output (XCB)’ in the Output drop-down menu. Now, just save all the settings you made and open your VLC Player again. Now, your MP4 video should be playing on VLC player successfully. MP4 video corruption might happen due to various reasons, improper transfer, codec issues, audio-video synchronization issues, interruption while compress the video and many more. Remo Repair MOV tool will quickly fix all such issues and repair your MP4 videos. In the process, your original video will be safe as the tool will create a new healthy file and then copies the audio & video streams separately. This make the MOV repair process safer and easier. Its friendly interface needs no technical expertise to use the tool. You just have to provide another healthy MP4 file, with same codecs. Also, the entire process is just 3-step process, you need to just Select – > Repair – > Save. Step 2: Now, provide the path of your unplayable MP4 file by hitting ‘Corrupted File’ option. Step 4: Once, the process is successfully completed, you can preview the repaired MP4 by clicking of ‘Preview’ option and ‘Save’ the file at any location of your choice. With these, the corrupt / unplayable MP4 video should play on VLC & other media players. You can use this tool to even fix MOV videos that are corrupt. Whatever, is the camera model used for creating these MOV and MP4 videos, this tool will fix them all. Itc an quickly repair videos on GoPro, Canon, Nikon and other top DSLRs. 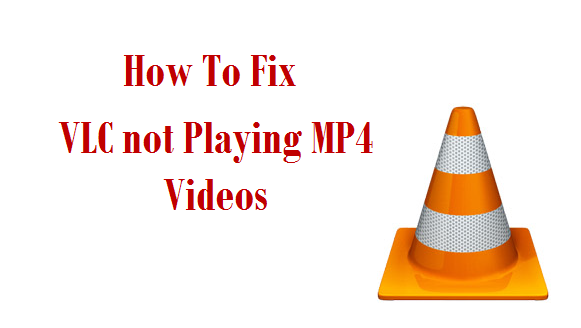 These are some of the easy methods that help you fix MP4 not playing on VLC issue. Hope, this guide helps you to resolve your video playback issue.